Welcome to Lutz's Bullmastiff Country. We LOVE our dogs very much and it was because of that love that we decided to breed them. Our dogs are part of our family. They go everywhere with us and we receive so many compliments daily on how beautiful and handsome they are. We cannot go anywhere without being stopped and spoken to by many people who admire their colors and their temperament. These are the most loyal and loving dogs anyone could ask for - No other breed compares to a Bullmastiff! The bullmastiff is a large breed of domestic dog. It has a solid build and a short muzzle. The bullmastiff shares the characteristics of Molosser dogs, and was originally developed by 19th-century gamekeepers to guard estates. The breed's bloodlines are drawn from the English Mastiff and Old English Bulldog. It was recognized as a purebred dog by the English Kennel Club in 1924. They are a very quiet dog; they very rarely bark. Bullmastiffs are strong, powerful but sensitive dogs. For a bullmastiff to become a well-behaved family member, consistency is needed. Training and socialization is of high importance. Dogs of this breed are natural guardians of their home and owners. 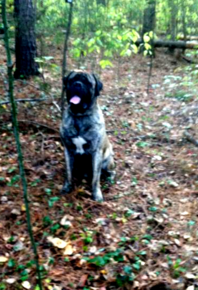 No special guard training is needed for a bullmastiff to react appropriately if his family is endangered. Special approach to bullmastiff training is needed, because these dogs do not like to repeat the same actions again and again. 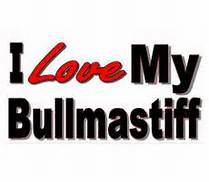 Activities bullmastiffs enjoy include obedience, agility, tracking, and carting. Males should be 25 to 28 inches (64 to 71 cm) tall (AKC Std.) at the withers and 110 to 130 pounds (50 to 59 kg). Females should be 24 to 26 inches (61 to 66 cm) at the withers, and 100 to 120 pounds (45 to 54 kg). Exceeding these dimensions is discouraged by breeders. Cosmetic genetic problems include longhairs and "Dudleys". Both are recessives and not common. The Dudley, named after a notable Bulldog breeder of the 19th century, the Earl of Dudley, is a lack of pigment in the mask. It can be liver colored or simply not present. The Bullmastiff is very impressive with their strong appearance and its natural abilities of intimidation, but you need to get a handle on training this dog breed early in its life. This is a large dog with a natural instinct to protect his family especially whom they perceive to be their master. 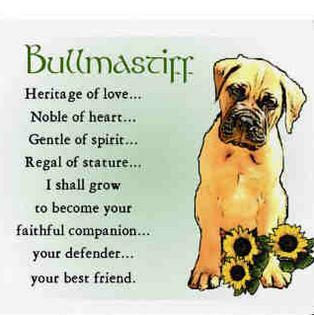 Loyal is not strong enough of a word to use to describe the Bullmastiff. Therefore, early socialization with people and other dogs is vital for the dog obedience-training lessons down the road. For the average dog owner, this is a breed best brought home as a puppy especially if there are other pets in the household. There are two components to successfully training your Bullmastiff, the first is establishing a “pack leader” in the home. This will be the person responsible for their ongoing obedience training. The second is socialization. As a part of its nature, the Bullmastiff is going to be a drooler and a snorer, so be ready for these behaviors when you first bring this dog home. Puppies will tend to be awkward too when they’re first in the home, but they will gain their agility quickly as they get older. These puppies will bond swiftly with the family and will perceive any stranger as a threat if not properly socialized. As it is necessary to start this process early have the obedience training lesson begin with “come.” The reason this should be the first lesson is it will get your dog used to the leash and should he somehow get away from you during a walk, you can be confident that he/she will come back to you when called. As with all dog obedience training, it will take time and repetition. Training lessons are not something that can be accomplished once or twice a week but rather needs to be practiced every day. For a new puppy, these lessons should be no more than 15 to 30 minutes; beyond that, your new dog is not going to learn anything. Training your puppy is not unlike raising a child, move too fast or beyond your dog’s limitations and all is lost. As with all training lessons begin in an area of the house that will offer little to no distractions for your dog. Have your Bullmastiff puppy in their training collar and have the dog training lead nearby. Start by saying the word “come,” the first few times you say this your new pup is likely to come right to you. The first time they do not, slowly walk over and attach the training lead. Say the command again and tug on the lead. This first tug on the dog training lead will send your dog’s senses in overdrive; pulling, tugging, wiggling, and whimpering will present a scene more like torture then training. It’s okay this is natural, keep going. When your dog reaches you, give plenty of affection. Continue this over the next week or so adding distractions along the way until your new pup comes on command. Now that this dog obedience-training lesson is accomplished, you’re ready for the most vital part of your Bullmastiff’s training – socialization. Some dog owners may say that you should wait until all of their vaccinations are complete before embarking on this process, not so with this breed. While there is some truth to this if you are going to an off-leash dog park but for walking through the neighborhood, introducing your dog to family and friends, and strolling through the local pet store, four months old is a perfect time. At four months old, your Bullmastiff is most likely weighing in at 50 pounds, which is the reason for first, leash training, and then socialization. The period of 10 to 16 weeks is some of the most influential time for your dog. Breeders and Vet’s will tell you that a proper socialized dog is happier, obedient, and confident.
. 1. If I like it, It's Mine. 6. If it's mine, it must never be yours. 8. If you have something and put it down, it's mine. 9. If I chew something up, all of the pieces are mine. 10. If it used to be yours, get over it. 11. If it's broken, it's yours. 12. If it's edible, it's always mine.